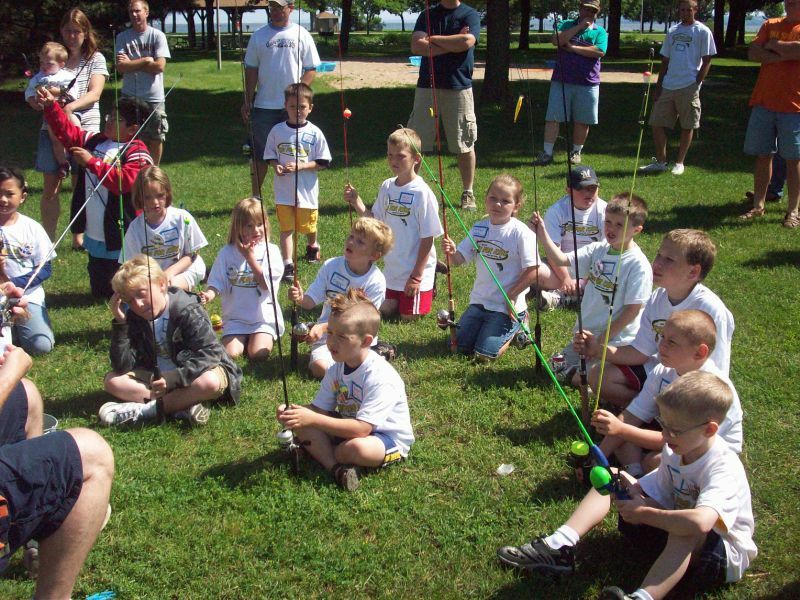 As a senior in high school I started an organization called “Fish for Kids” which introduces children to the amazing sport of fishing as well as provides them the knowledge and tools to continue the sport in the future. 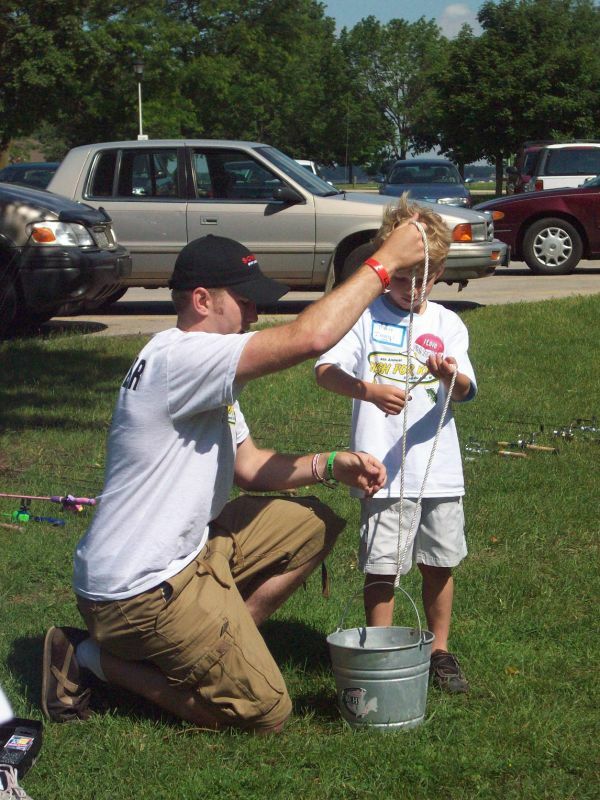 Since 2005, I have held a FREE annual fishing event for kids in Wisconsin. 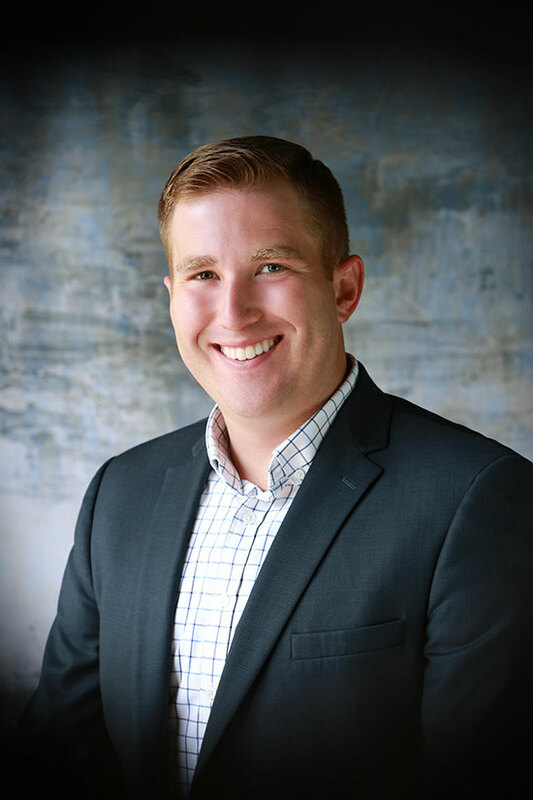 Seven events have been held in my hometown of Fond du Lac at Lakeside Park, three events at Abe Rochlin Park in Oshkosh (the city where I attended college – UW Oshkosh), then to De Pere for two years and Green Bay one year. This year, the 14th Annual Event is coming back to Abe Rochlin Park / Oshkosh! I have been fishing with my dad and friends since I was really young and it was always some of the best times I spent. I also love kids! They are hilarious and a blast to work with. So, when I was seventeen I decided that I wanted to do something to give back to my community and to the kids – so I decided to do this event. The initial goal was to provide children with the necessary fishing equipment (poles, tackles boxes, etc.) to start fishing with friends and family. After a strong response from the Fond du Lac community, I made Fish for Kids to something even more. 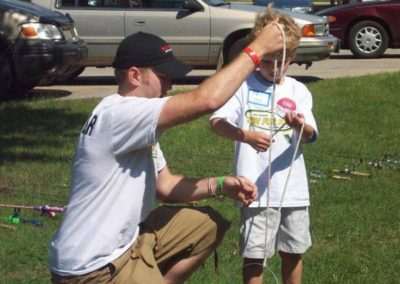 I wanted to help children obtain fishing gear but I also wanted to teach them how to fish and show them how fun fishing can be. 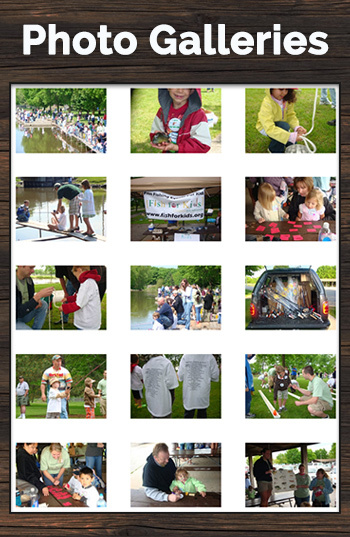 So after the first few months of planning, Fish for Kids became an annual one-day fishing event. This event teaches children how to fish and gives them the necessary fishing gear to continue in the future; all for FREE. 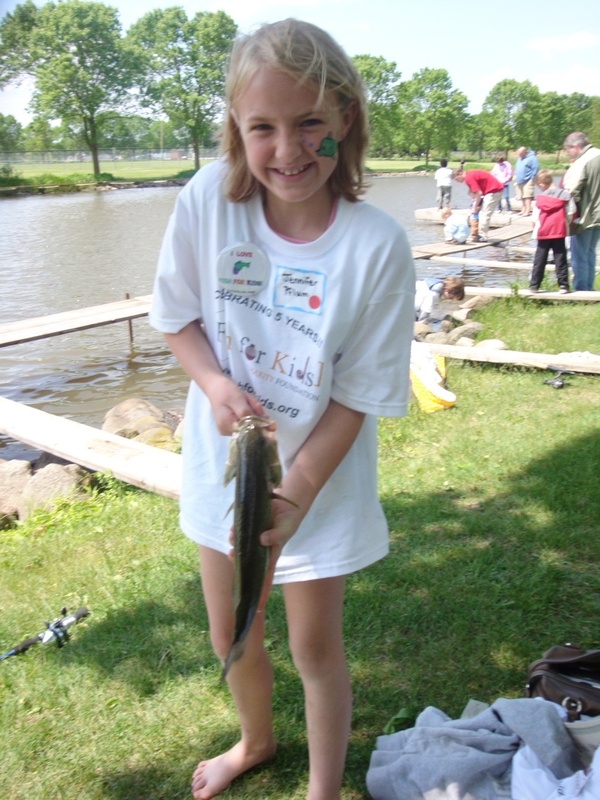 Fish for Kids basically gives kids the opportunity to get out fishing…not only them but with their parents. This is with hopes of starting a great pastime to enjoy with parents and friends for their entire lives. So far, Fish for Kids has had nearly 2,000 kids attend an event, nearly $40,000 in free fishing gear and t-shirts given away, 150 volunteers, and 75 business sponsors. 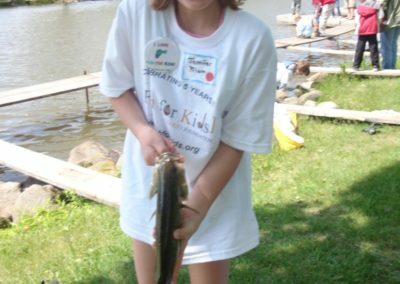 Without the generous donations from local sponsors and help from volunteers, Fish for Kids would never be where it is today. 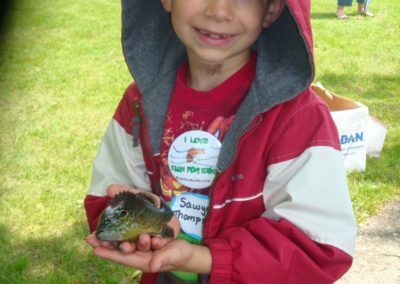 At the events, each kid goes through stations such as a casting contest, fish identification game, fishing arts and crafts, knot tying and slip bobber lesson, minnow races, and the exciting fish tank. Then they grab their parents, a volunteer, and a box of worms and go fishing in the channels. Every child also received free t-shirts or hats, snacks, and fishing gear. They also had the opportunity to win larger fishing gear like brand new fishing poles and tackle boxes. 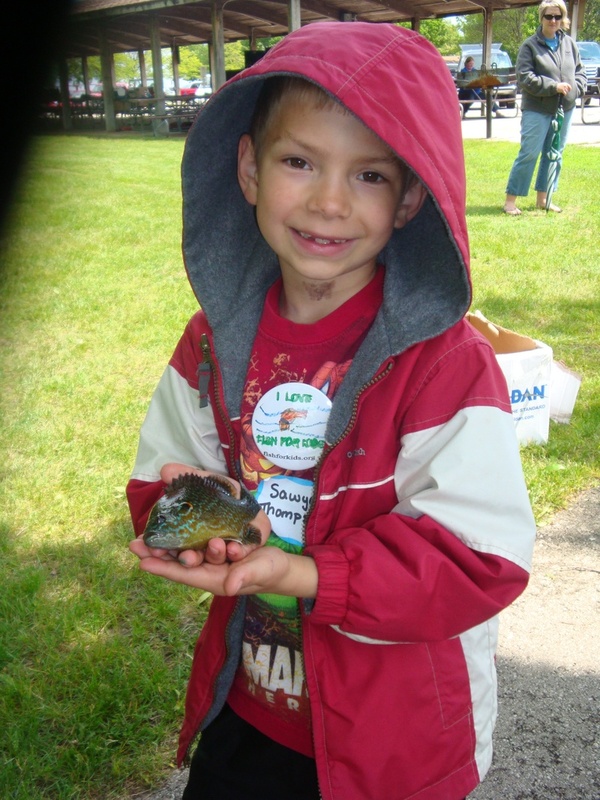 The 2010 event in Oshkosh also featured a 600 gallon fish tank (provided by the DNR) full of the fish in the Wisconsin waters. Fish for Kids is a 501c(3) tax-exempt organization under GOEBEL Family Foundation Inc (Tax ID# 47-3430983). Donations can be made out to GOEBEL Family Foundation Inc and mailed to our office at 76 Western Ave, Fond du Lac, WI 54935.